The 2nd ODI between Pakistan and Australia will be played at the Sharjah Cricket Stadium on Sunday. The visitors come into the game with a crucial 1-0 lead. It’s a chance for them to stamp the authority while the hosts would be itching to make a comeback. 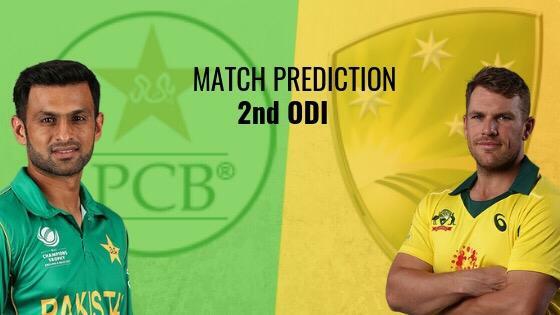 Keep reading to find out the Pakistan vs Australia 2nd ODI Match Prediction. In the first ODI, Australia was on a rampage as they rode on the confidence after the series victory in India. It was evident in the way Aaron Finch played and scored a century while chasing 281. Haris Sohail’s ton went in vain as the visitors made the chase look very easy. However, the hosts are expected to bounce back strong. Pakistan vs Australia 2nd ODI Match Prediction: Australia won the first ODI but Pakistan didn’t perform badly. Expect the hosts to make a turnaround in the conditions they are familiar with.